INKin' All Night! 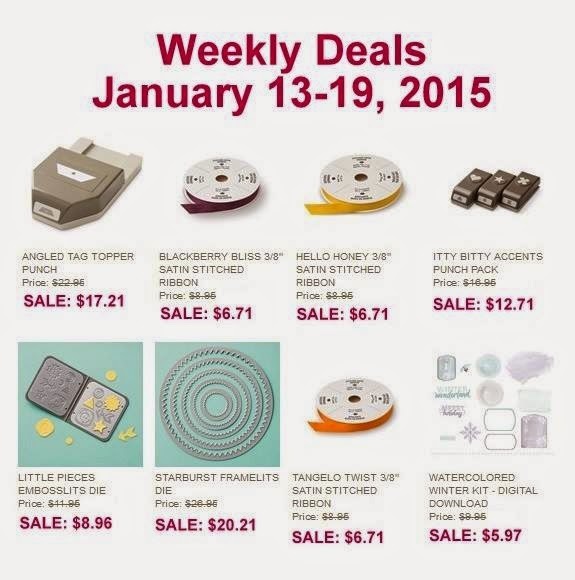 : New Weekly Deals! Just dropping in really quick to share this weeks WEEKLY DEALS! This week I am in complete heaven with items chosen!! I absolutely love the Starburst Framelits & the punches - yes you need them all! The new Epoxy Stickers on pg 28 of the Occasions Mini match! YAY! and if you liked the ribbon on yesterday's post - well 3 of the In Colors are on sale this week!!! And yep, pick SAB free when you reach $50, $100 etc and hostess benefits at $150!